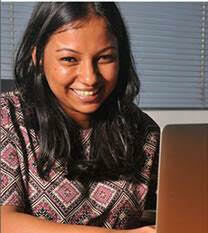 Today we are talking with Gayani Abeyasinghe, Deputy General Manager at MAS Holdings in Sri Lanka. She earned her bachelor’s degree from Wharton and is a member of the class of 2008. It is great to be able to speak with you. Why don’t you start by telling us about your background? You grew up in Sri Lanka? How did you get to Penn? Yes, in Colombo, where I also attended high school. So I had spent most of my life in Sri Lanka until I came to the United States to go to school at Penn…[And] I am from among the first generation in my family to have gone on to higher study at University...I applied to Penn as a potential international relations (IR) major. However, once I actually commenced taking classes I found that much of what I was learning in IR was, for my tastes, too theoretical and I wanted a more practical approach in what I was learning…After almost leaving Penn altogether after my first year, the most important next step became the leave of absence I took to clear my head …[A]fter my leave of absence, for my sophomore year I decided to leave the College and enter Wharton instead. What about your path after Penn? Well I had always known that I wanted to come back to Sri Lanka, where things at the time remained complicated due to the war. [Starting in the early 1980s overt civil conflict began to develop in Sri Lanka between the government and the Liberation Tigers of Tamil Eelam, whose membership was concentrated in the non-Sinhala North of the country…The war ended only in 2009.] So initially I took a job with Merrill Lynch based in New York, in their analyst program...After about a year’s long transition in the wake of the acquisition [of Merrill Lynch] by Bank of America [in 2008] I, myself, began on a personal transition to a new job for the Monetary Authority of Singapore…Part of my interest in the position also was due to the fact that I knew that being in Singapore would put me closer to home. After working for MAS (Singapore) for a few years, I then started looking at making the move back to Sri Lanka. In Sri Lanka, I joined the company I am now with called MAS Holdings, one of the largest apparel manufacturers in South Asia. Given the path your career has so far taken, how does it make you think about your Penn education? What was most valuable in those years for helping you today? What about advice you for current Penn undergraduates interested in exploring work opportunities in Sri Lanka? Well, I do think cultural and social understanding is important. So availing of any courses that have some Sri Lanka coverage is always a good idea. Sri Lanka is not quite the same as a place like Singapore where expatriates can always find their own smaller bubbles to live in… Ultimately a person who is open-minded to new experiences, who is willing to be aware of the country and the local, on-the-ground conditions will probably find it easiest to excel here.